Imagine yourself being a fish in the middle of Slovenia. 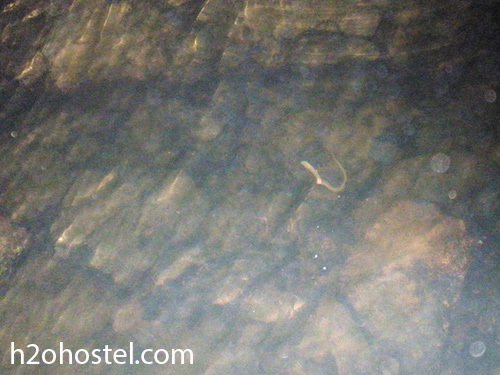 But not just anywhere, you are in Pivka River, just about to enter the world-famous Postojna cave. Si, Grotte di Postumia, amici Italiani. In the cave you evolve into an amphibian proteus (Proteus anguinus), better known as the Human fish. Swimming downstream, past the magnificent calcified halls deep underground, the River Pivka unites with another river, the River Rak. This confluence gives birth to the River Unica and is known as one of the largest confluences of subterranean rivers in Europe. 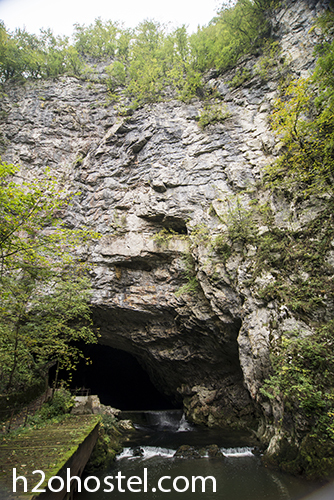 Before River Unica emerges on the surface, it has created a cave, which we call Planina cave. 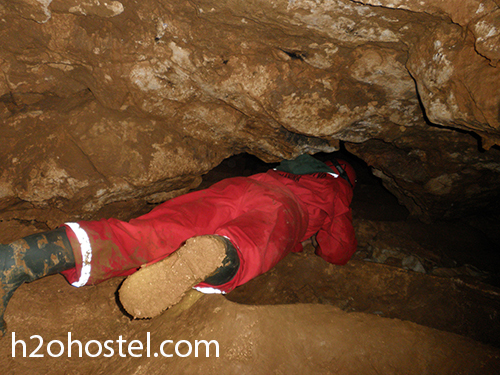 Now you have two possibilities: You can stay in the cave as a Human fish and make up your own story or visit the cave as a regular human. In either case you should continue reading. Planinska jama (in Slovene) offers guided tours, mainly on call, but during summer months, Jun-Aug, you can catch them every Sunday and holidays at 3 PM and 5 PM, unannounced, for a basic, approx. one hour long walk. The other option demands more adrenaline. 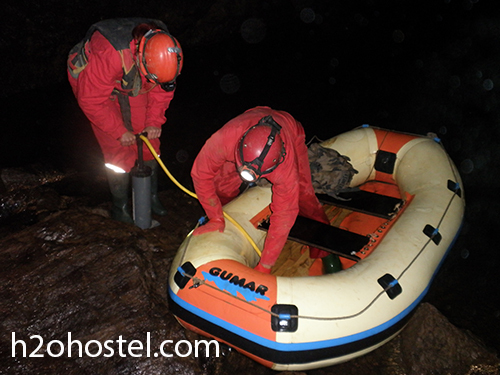 This tour lasts 4 to 5 hours and also includes a boat ride on the river, deeper into the cave. And we strongly recommend that you do this exciting tour. After a short walk, you row your boats until it is impossible to row on. There, visitors disembark and continue on foot towards the hall named Paradise. 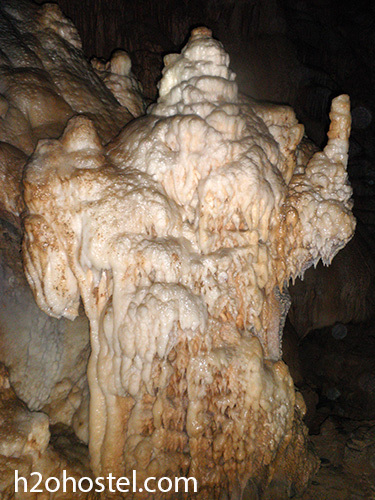 And they call it Paradise for a reason: Spectacular stalagmites and stalactites of many colors and sizes, curtains hanging from cave ceilings… just incredibly beautifully calcified halls and passages. The whole trip is amazing and has all the necessary attractions. 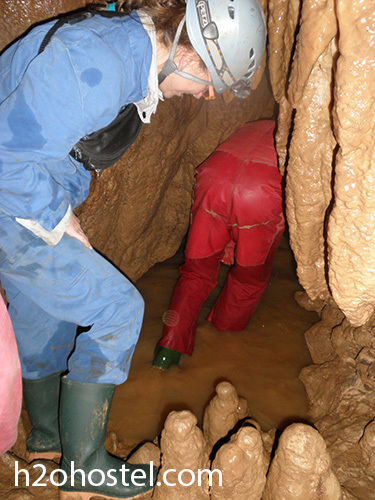 and it is a bit of a mind challenge, being stuck a few dozen or even more meters below the surface. 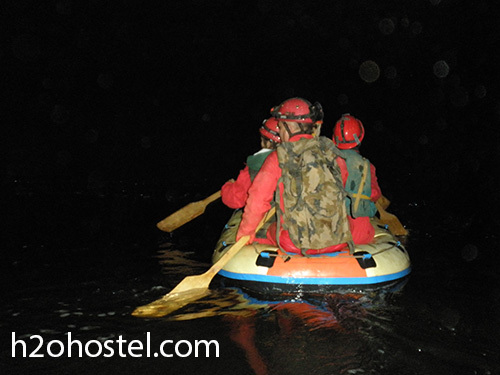 Without a shadow of a doubt the group is always in the capable hands of a professional guide! Zvonko is his name and he can be reached at this number: +386 41 338 696. He also provides all the necessary gear: boots, helmets, overalls, lights, life vests… Check out their (basic) web page. In case you decided at the beginning of this post to stay a Human fish, strike a pose, wag a tail – vogue – when humans on boats are taking pictures of you on their way to Paradise. 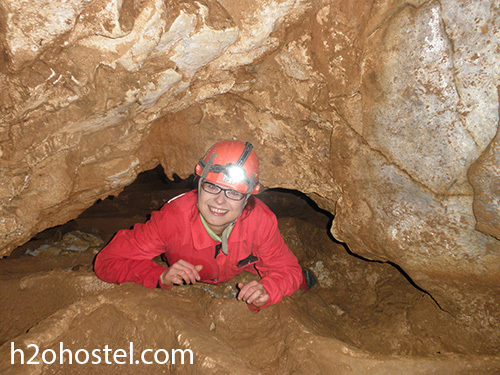 This entry was posted in H2ostel Blog, Travel tips and tagged Cave, Olm, Pivka, Postojna Cave, Slovenia, Subterranean river. Bookmark the permalink.